Two executives for carbon fiber company Zoltek on Wednesday described automotive composites as affordable and potentially exploding in growth on vehicle exteriors in a few years– another sign that the substrates could be a factor in collision repair sooner than one would expect. Zoltek U.S. automotive business Director Chris Thomas called cost the “800-pound gorilla in the room” which undercuts carbon fiber benefits like strength, low weight, reduced corrosion and designability. 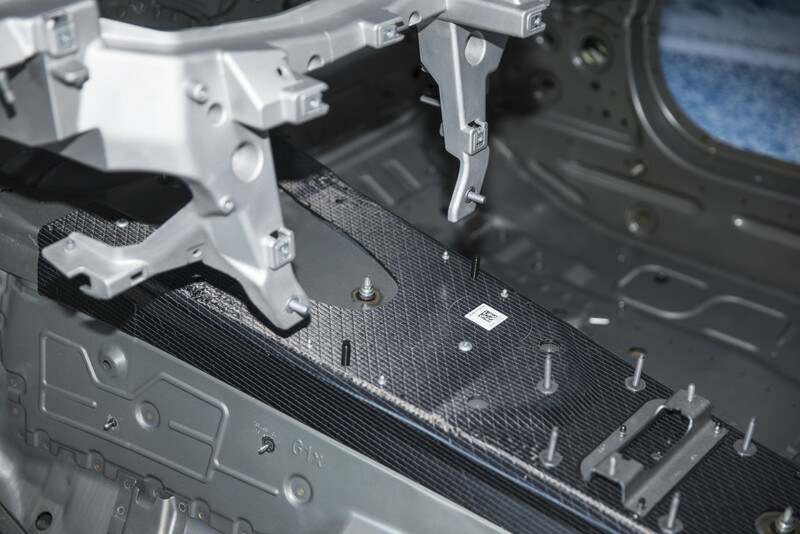 If OEMs and carbon fiber companies can conquer the cost issue, carbon fiber might beat out steel, aluminum and magnesium as the substrate of choice in many automotive applications. But according to the CompositesWorld webinar, “How to Produce Affordable Carbon Fiber Automotive Parts,” that hurdle might be surmounted sooner rather than later. Zoltek Europe automotive business Director Tobias Potyra and Thomas also pointed out that certain methods become more cost-effective if you apply them to a high-volume vehicle. Potrya showed a slide of many different carbon fiber production processes suitable for many locations on a vehicle body — and different production volumes. Two were on mass-production vehicles either already on sale or about to be. Others might not be far from OEM production lines. “Prepreg” — a reference to carbon fibers “pre-impregnated” with resin was “very versatile,” and suitable for luxury cars produced up to about 200 vehicles a year, he said. “The entry costs are fairly low,” he said. 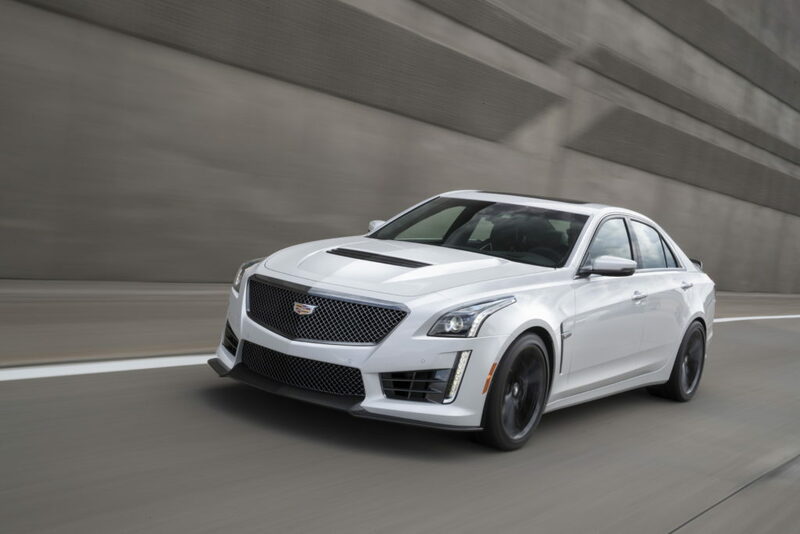 Potrya’s slide associated prepreg with hoods, trunk lids and roofs, and the substrate actually can be found on the Cadillac ATS-V and CTS-V hoods today, he said. At the higher-volume “premium segment” of 50,000-100,000, resin transfer molding and fusion processes are “becoming more and more viable,” Potrya said. 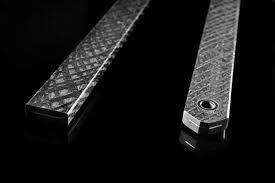 The Zoltek presentation described a preformed carbon fiber structure placed into a mold into which resin was injected. Like prepreg, it’s able to produce a Class A surface. The presentation associated it with the roof, but also parts like the B-pillar, front-end crash tubes, the rear seat wall, and load floors. Standard resin transfer molding, or RTM, has a low capital investment, but high-pressure RTM is far more expensive, according to Potrya. Plasan Carbon Composites has created an RTM roof frame which is lighter than the magnesium die-cast structural part it is intended to replace and can be produced in “low minutes,” according to Potrya. The part has been delivered to the OEM (Potrya didn’t say which one) and undergone road testing, and “all lights are on green, Potrya said. Voith also has a direct processing RTM model which is almost completely automated, according to Potrya and the presentation. A slide calls it “dedicated to Automotive High Volume Serial supply,” Potrya said Audi was using Voith’s process for a “high-volume model that will be on the road from October on,” likely a reference to the Audi A8 and its carbon-fiber rear panel. Audi sold 4,149 A8s in 2016, according to Good Car Bad Car. 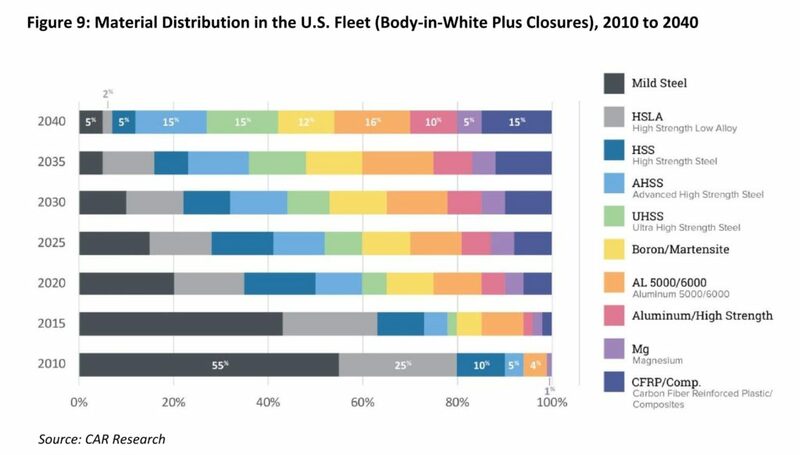 Sheet molding compound, or “SMC,” and pultrusion become more “attractive” if an OEM were to produce a vehicle at a more standard volume of 50,000-150,000 units a year, according to Potrya. SMC is “very well established for glass fibers,” Potrya said, and advantages include automation, quick cycles and little scrap. However, you need high volume to make it cost-effective, and expensive 3K-tow (a reference to 3,000 strands of carbon fiber) composites are necessary. Zoltek has a method of pre-splitting less expensive 50K carbon fiber into 3K pieces and boosting the flexural strength (which is different than tensile strength) from less than 300 megapascals to just under 400 MPa. Magna used SMC to produce a carbon-fiber engine cradle for Ford this year. “It’s a fully structural application,” Potrya said. 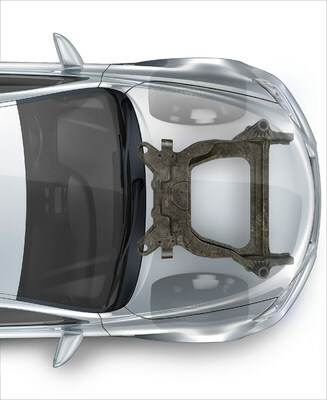 Switching from the traditional steel to an SMC carbon-fiber subframe cut the number of parts from 45 to six and reduced the mass of the completed part by 34 percent, according to Magna. Potrya said Ford was currently testing the part on a vehicle. The Zoltek presentation linked SMC to door, hood and decklid/liftgate inners and load floors. 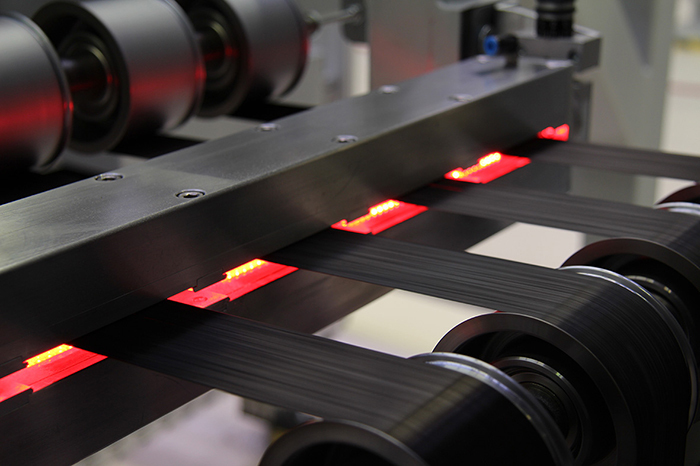 Carbon fiber pultrusion produces parts which can replace extruded steel and aluminum. While it’s the cheapest way to produce carbon fiber parts, the technique is “unfortunately” limited to “straight parts,” Potrya said. However, the “straight parts” which could be primed for replacement ought to be quite familiar to collision repairers. Zoltek has developed pultruded sils/rocker panels and door intrusion beams, and Daimler and Secartechnologie in 2016 won an award for their pultruded carbon fiber stiffening struts in the Mercedes C-Class Cabriolet and S-Class. “The composite components, which boast optimized functionality and costs, can now also be economically produced in larger volumes,” Daimler hybrid materials head Karl-Heinz Füller said in a statement of the pultrusion process both companies developed. And finally, at an even higher-volume vehicle, “thermoplastics are becoming more and more interesting,” Potrya said. But more R&D will be necessary to make this concept a reality, he said. It’s limited by fiber length — “we’re fighting to maintain as much fiber length as we can,” Thomas said — and its expense, though for a high-volume vehicle, “it makes sense” to have the necessary high-pressure tooling. Another approach is a thermoplastic tape, which can be applied to an area that needs the extra support. It sounds similar to how BMW augmented 7 Series metal parts with carbon fiber layers. Thomas offered the example of a front-end molding which years ago had been molded out of glass fibers. By switching to thermoplastic carbon fiber, the part saw 25-39 percent increases in tensile strength, tensile modulus and impact strength while reducing density (which influences weight) by 19 percent — and it hadn’t even been design-optimized for even more savings. Thomas also described a thermoplastic carbon-fiber reinforced nylon engine cover and oil pan designed for an upcoming 1-liter Ford engine as a proof of concept. The composite oil pan replaces a cast aluminum part with a “structural component to it” and reduces the weight between 20 and 30 percent, Thomas said. Going composite here also could yield noise, vibration and harshness benefits — which could save money by reducing the amount of NVH mitigation needed elsewhere on the vehicle, according to Thomas. Learn about lightweighting and joining during SEMA with Ken Boylan of Chief at “Current and Future Technologies 2017 and Beyond”; Toby Chess of Kent Automotive at “Adhesive Joining in Modern Repairs”; Dave Gruskos of Reliable Automotive Equipment with “Get Attached to Following Procedures: A Comprehensive Guide to OEM Joining”; and a panel of OEM Collision Repair Technology Summit experts at“How Automotive Research is Driving Change.” The sessions are part of the Society of Collision Repair Specialists Repairer Driven Education Series Oct. 30-Nov. 3. Register here for individual classes or the series pass package deal. The Zoltek presentation associated thermoplastics with all kinds of parts, including door and trunk inners, B-pillars, load floors, crash tubes and seat structures. Thomas indicated thermoplastics could have a future role in substructures, front- and rear-end modules, doors — and also painted horizontal panels and verticals. “It’s the logical place to end up if you’re building a lot of cars,” Thomas said of thermoplastics. He predicted thermoplastic use would really begin in the “2020 time frame” and ramp up “relatively quickly from there” — posting “hockey-stick” growth between 2019-25. “It’s hard to give a specific answer,” he said. Asked about the crash energy absorption potential of carbon fiber, Potrya gave the example of Formula One race cars, which use a significant amount of the composite. It’s “excellent for crash absorption” and “great” at dissipating energy. But the carbon fiber industry is ready to meet future demand, according to Thomas. Asked about a Center for Automotive Research estimate that 10 times the current carbon fiber production would be needed by OEMs in the future, he said Zoltek had “lots” of opportunity to add capacity and can have an additional automotive carbon fiber line up in six to eight months — quicker than for aerospace. CAR’s growth projection was “well within our ability to handle,” Thomas said.